Best Thermal Coffee Maker – Bringing the convenience of drinking our favourite caffeinated stimulant into the comfort of our own home isn’t really anything new but the versatility of the models and added features are making definitely the making the whole process quicker and easier. 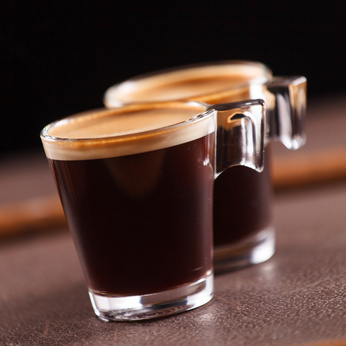 We’re no longer settling for the jar of instant coffee; we want freshly-brewed; even home-ground coffee with all the flairs and flavours that truly bring the coffeehouse experience home. What is a Thermal Coffee Maker? The thing that really distinguishes thermal coffee makers to the standard alternatives is that it brews the coffee directly into an insulated carafe – rather than a glass carafe. For obvious reasons, these insulated carafes are designed to keep the coffee hotter for longer after it’s been brewed; eliminating the often acidic taste that follows attempting to do the same with a standard glass carafe and hot plate combination. Value for Money – there’s no need to reheat or re-brew coffee that’s already gone cold or when the flavour has an acidic hint. Although, as expected thermal coffee makers are generally more expensive than a standard product, if you were to damage the glass carafe – the difference would probably cover the relative gap in cost between machines. Convenience – as with anything like this, the convenience factor is always high up on reasons for making such a purchase. You’ve got a product that facilitates a busy, endless to-do list, always multi-tasking sort of lifestyle – sound familiar? Efficiency – the efficiency of these models and specifications is outstanding and clearly distinguishes them from their standard equivalents; designed with systems and construction elements that scream quality! With a polished mirror finish and adaptable to all cooking surfaces, this Cuisinox Roma Espresso Maker would make a great little addition to any kitchen. The solid heavy 18/10 gauge and distinguishing hand-crafted all stainless steel construction mean that this thermal coffee maker promises to stylishly stand the test of time. If you’re looking for a cup of strong coffee made to an excellent standard with a traditionally authentic and rather nostalgic feel, this is definitely worth a look. → Get the Cuisinox Roma Stovetop Espresso Maker on Amazon! 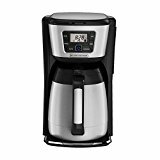 The utility factor of this Cuisinart thermal coffee maker has to be noted and really quantifies its value. Double wall insulation and a patented brew-through, pour-through lid will help keep air out and most importantly the coffee hot and fresh for a considerable time – so ideal if unexpected company shows up, or even for those (maybe not so) rare moments you get distracted doing something else. Complete with conventional design – adding a certain air of reliability as well as convenient – with 24-hour programmability so the power to choose is well and truly in your hands. Safe bet for sure! → Get the Cuisinart DTC-975BKN on Amazon! With 40 years past experience perfecting the art of coffee brewing – you definitely get the sense that you’re in secure hands with a BUNN product, and this Velocity Thermal Carafe Home Brewer certainly lives up to its name, brewing up to 10 cups (50oz) supply of coffee in just 3 minutes. Perfect for entertaining! 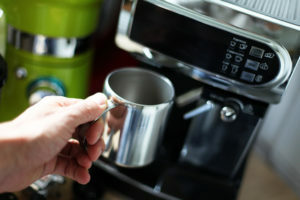 And with both a unique stainless steel water tank reservoir as well as stainless steel vacuum insulated carafe, your coffee will stay hotter for longer. Although, the sprayhead design perhaps caters to a more specific taste in design, BUNN boasts it improves the process of extracting the coffee’s flavour – well they are the experts after all! 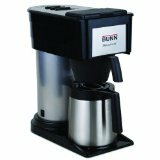 → Get the BUNN BT Velocity Thermal Coffee Brewer on Amazon! Well, it definitely looks the part, has all the features you’d expect from a Mr. Coffee product but without the price tag you’d think would match a recognised best product in a leading consumer research magazine! Simple to use, easy to clean; impossible not to love! Built to maximise flavour as well as convenience, it is so much more than just the bargain priced alternative – it’ll give the others a run for their money! 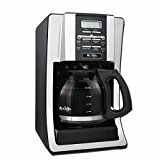 → Get the Mr. Coffee BVMC-SJX33GT on Amazon! You know exactly what you’re getting when you purchase any product from a name like Black & Decker – you’ve got efficiency at its finest, as well as its cheapest from the looks of things! Great 12-cup capacity. Double wall insulation and vacuum sealed stainless steel carafe for hot coffee that promises to stay that way for hours later, while still preserving that fresh flavour; improved with stream showerhead design for better water distribution and superior flavour extraction. You genuinely feel like they’ve covered all bases! → Get the Black & Decker CM2035B on Amazon!